Would like to wish all celebrants Selamat Menyambut Hari Raya and happy holidays. 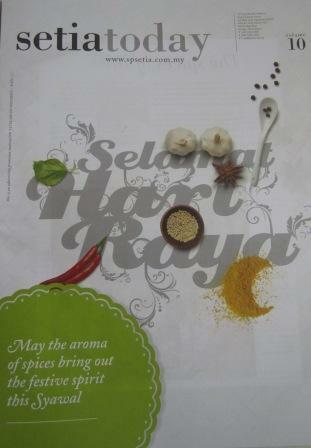 Raya messages by Setia One: May the aroma of spices bring out the festive spirit this Syawal. 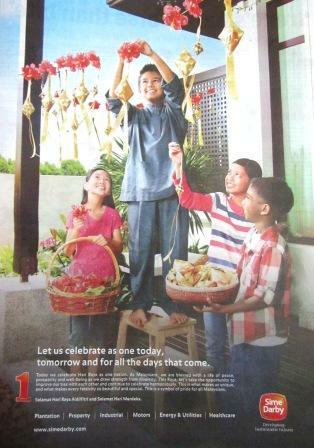 Sime Darby: Let’s celebrate as one today, tomorrow and for all the days that come. 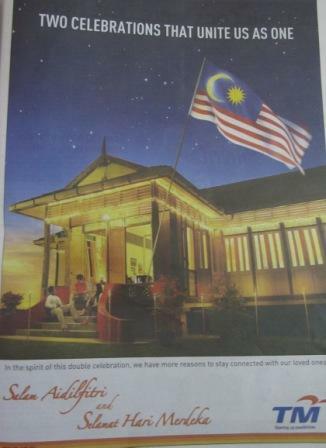 Today we celebrate Hari Raya as one nation. 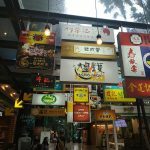 As Malaysians, we are blessed with a life of peace, prosperity and well-being as we draw strength from diversity. 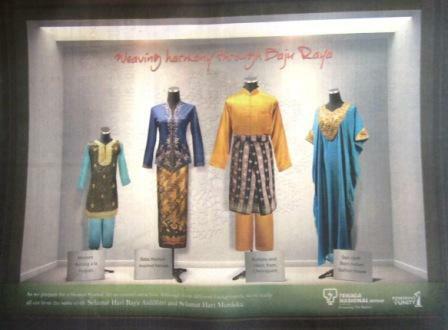 This Raya, let’s take the opportunity to improve our ties with each other and continue to celebrate harmoniously. This is what makes us unique, and what makes every festivity so beautiful and special. 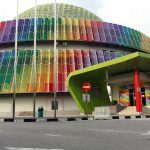 Thisis a symbol of pride for all Malaysians. 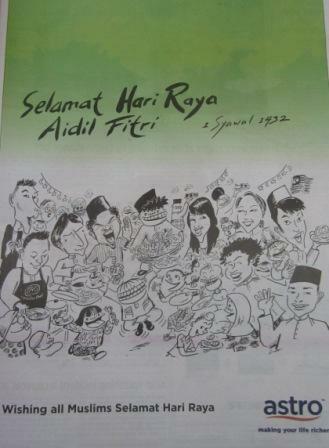 Selamat Hari Raya Aidilfitri and Selamat Hari Merdeka. tayang baju glamor di facebook dan twitter. Digi: Forgiveness mends wounds and erases anger. This blessed Aidilfitri, take some time to remember the moments when you may have hurt a loved one, offended a friend, or misjudged a stranger. Saying ‘sorry’ may not change the past. But it can mend wounds and brighten someone’s day. 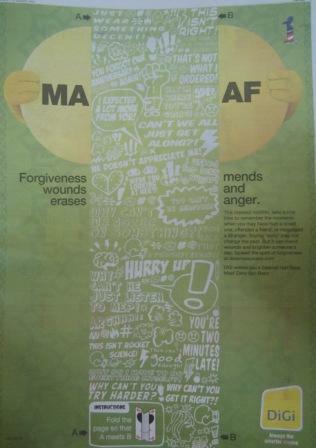 Spread the spirit of forgiveness at dearmalaysia.com. 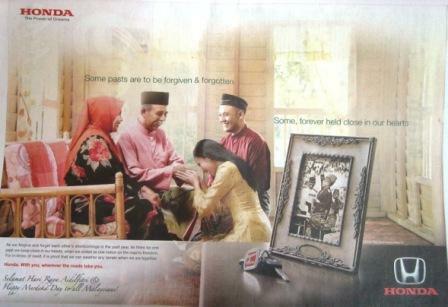 Honda (the picture shows children asking for forgiveness from their parents, at the same time, the timeless framed photo of our first prime minister declaring independance in 1957 is shown- the ad itself speaks a thousand words): As we forgive and forget each other’s shortcomings in the past year, let there be one past we keep close to our hearts: when we united as one nation on the road to freedom. For in time of need, it is proof that we can weather any terrain when we are together. 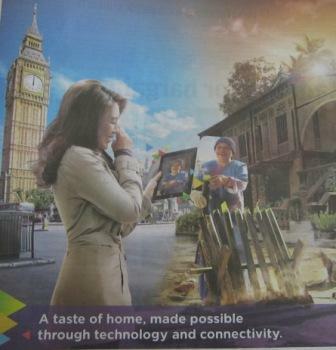 Axiata shown how a daughter, located in London is able to see and talk to her mom back in hometown with the aid of technology. Astro uses cartoon to show the typical happy celebrations around. 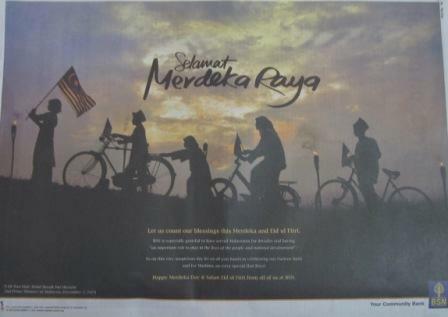 Bank Simpanan Nasional (BSN): Let’s count our blessings this Merdeka and Eid ul Fitri. 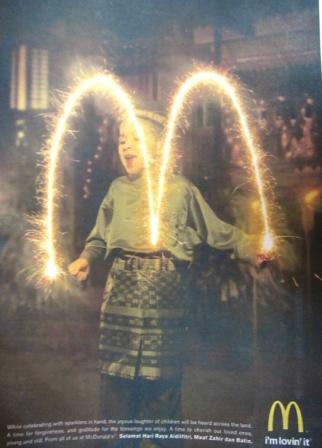 McDonalds: (A happy child playing fireworks- this ad would be special and rarely seen in other parts of the world) While celebrating with sparklers in hand, the joyous laughter of children will be heard across the land. A time for forgiveness, and gratitude for the blessings we enjoy. A time to cherish our loved ones, young and old. 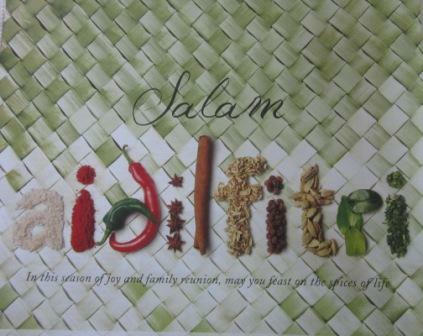 From all of us at McDonalds, Selamat Hari Raya Aidilfitri, Maaf Zahir dan Batin. 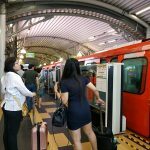 Tenaga Nasional (TNB): As we prepare for a blessed Syawal, let us remind ourselves- Although different backgrounds, we’re really all cut from the same cloth. 4th: Sari cloth from Indian fashion house. 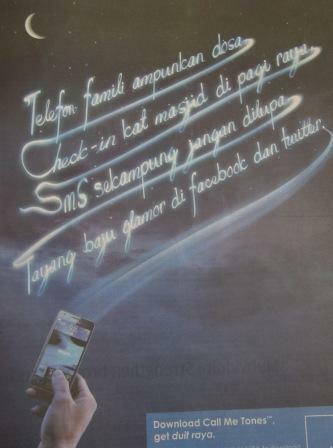 Telekom: In this spirit of double celebration, we have more reasons to stay connected with our loved ones.